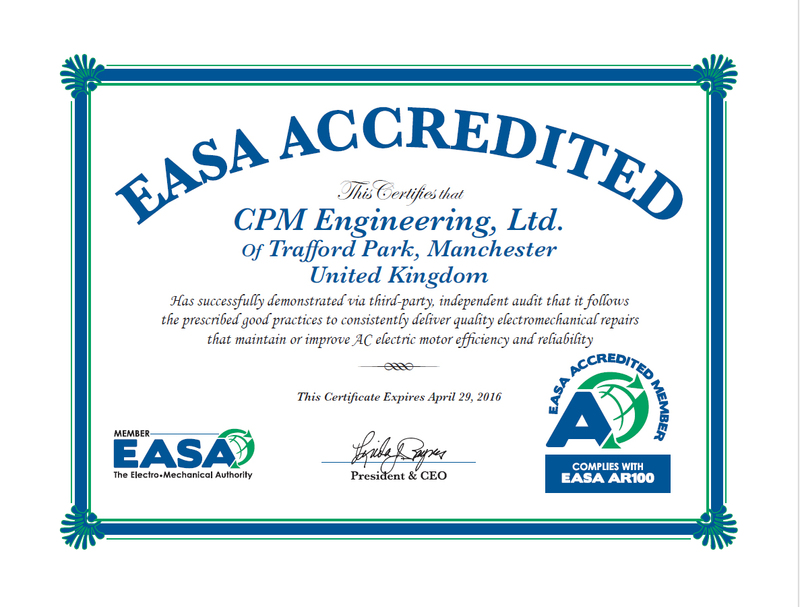 CPM’s Manchester Service Centre is the first company in Europe to be awarded the coverted EASA accreditation following a 2 day audit. The Electrical Apparatus Services Association (EASA) is a world-wide trade association with 1900 members with a stated aim as being recognised globally as the Electro-Mechanical authority. EASA promotes best practice in the repair and overhaul of electric motors and represents the electric motor repair industry, setting standards for many organisations including IEC, IEEE, NEMA, UL and CSA. With over two thirds of electricity consumed by industry being used to power electric motors it is not surprising that the end-users are taking an ever increasing interest in the electric motors they buy, and the way that they are repaired. With legislation already in place covering the stated efficiency of new motors perhaps similar schemes are on their way covering their repair and overhaul. Motor repair is a process best undertaken as a preventive measure instead of a response to a complete motor failure. A motor in operation can start developing issues, such as bearing wear which affects its efficiency rating and from the perspective of efficiency, 98% of the lifetime operational cost of a motor is the electricity used to operate it. This is the critical aspect of motor efficiency, and it’s under-appreciated in many regards by end users. It’s just a fact of life we deal with in service centres that many of the people we deal with are from the maintenance group, but they are not the people who pay the electric bill. 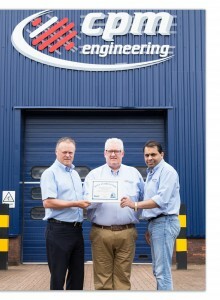 As part of its policy to drive up standards within the industry EASA has recently launched its motor repair accreditation process to provide clarity to motor end-users and service centres about the importance of proper motor repair. The programme, which includes all 3PH squirrel cage and medium voltage motors creates an audit trail in order to help end-users understand how their electric motors are repaired, and for service centres to bring attention to their repair expertise. Some electric motor manufacturers have suggested that repaired motors were not as reliable as a new one or could not maintain their efficiency after rewinding and overhaul. “It’s a myth that motor repair reduces efficiency,” said EASA Senior Technical Support Specialist Tom Bishop, P.E., a member of EASA’s ad hoc committee on accreditation. In a recent interview he said. 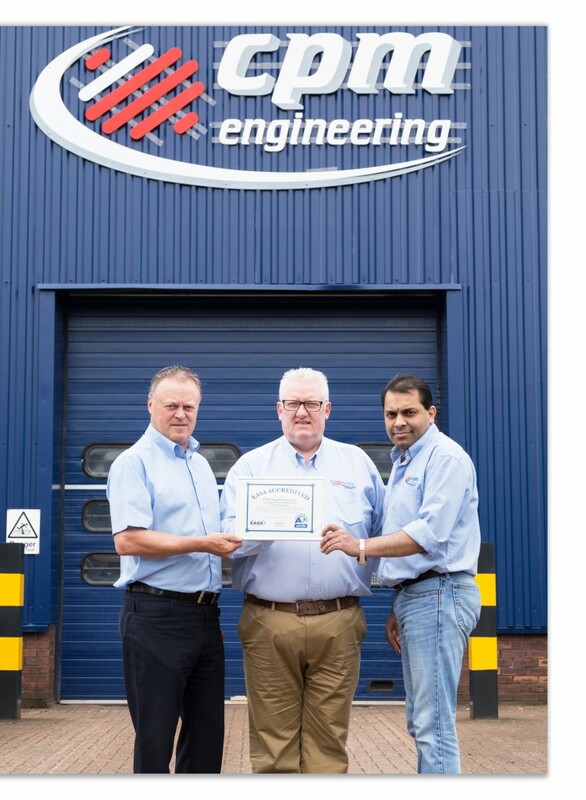 “We wanted to come up with a methodology and an audit that would demonstrate that reliability and efficiency can be maintained through the process of repair”. CPM believes that Maintenance Managers and plant operators will see the investment they make in their electric motors is extended. By understanding the root cause failure of the motor and feeding this back to customers it ensures that corrective action can be put in place before the repaired motor is reinstalled. By using an accredited electro-mechanical contractor, it puts the machine back to its original condition effectively turning the clock back to zero. 51.2% of Plant Engineering readers stated that they favoured an independent motor repair certification program, and 93% of those who favoured the program believed it would improve the quality of repairs. Only 28.5% of Plant Engineering readers have a motor repair specification. The end-user can rest assured that the motor has been returned to its original manufactured condition. Its efficiency has been maintained and its reliability assured. The life of the motor will be enhanced by quality controlled repairs extending mean time to failure (MTF). 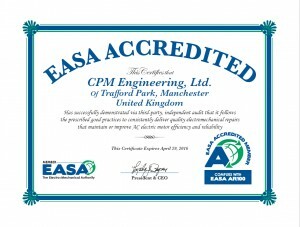 It also demonstrates CPM’s commitment to excellence. CPM’s General Manager, Rishi Hirani says ‘the cost of achieving the standard to the customer will be nothing. The costs will be recouped by improvements in productivity by getting it right first time, every time, by improved job times and by increasing CPM’s market share. So, how does the end-user know that a motor has been repaired to the standard? Only those repairs performed by an accredited repairer can attach a label identifying it as such. These labels contain a unique number which is registered at EASA. It will also contain CPM’s job number which gives total traceability of the repair.